I started talking a few weeks ago about our finances and how we do things a little differently. So I thought I could talk about how we do things and maybe that will inspire someone else to take a look into their finances. Disclaimer: I am not an expert and this is just what works for me. It may not work for everyone and I am hoping this will help someone who needs it. First, let's talk about bank accounts. We have seven different accounts. Yes you heard read that right. Seven. Granted 6 of them are with the same bank so when I log in online I can see them all. Not everyone needs this many, but it works for us. Here are the different ones that we have. Family Checking-This is where all of our money gets deposited. Our "home base" of sorts. From here we transfer everything to the other accounts. This is also where we keep money to pay all of our bills. Emergency Fund- This is exactly what it sounds like. This is where we keep our money in case of emergency. Emergencies being one of us loses our job, ends up in a hospital or something on that level. Cars breaking down and needing new clothing would not be considered an emergency. Short Term Savings- This is sort of our catchall right now for everything we are saving for. Buying new cars, updating our house and if need be- car repair and other things that will always come up. We follow Dave Ramsey's principals where he pointed our that cars breaking down should not be an emergency since it is bound to happen so you should be saving for it. 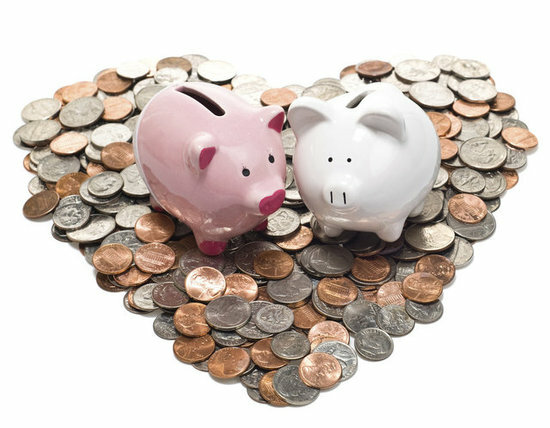 Bill Savings- Every month we save a little for all of our bills that we pay at a non-monthly interval. We have quite a few of these now days including gifts, car insurance, homeowner's association fees, and security monitoring. We pay our car insurance every six months to take advantage of the pay in full discount, so we set aside a monthly amount. We also calculate how much we spend on gifts in a year (my birthday, Richard's birthday and Christmas) and then divide that number by 12 to get the dollar amount we should be saving each month. Association fees are due every six months and we get a discount with our home security company if we pay in full. Vacation Fund- Since traveling is important to us, we set aside some money to travel when we can. We usually have some sort of goal on when we would like to travel so we add money to get to that goal. Rental Fund- This one is special to us because we have renters living in our house back in Minnesota. This is where we put their money and pay our mortgage each month. Additional Account- This one is unique to us too. Since we lived in Louisiana and there was literally no overlap in banks that are in both Minnesota and Louisiana, we had to open up a bank account there. This money is set aside to pay for the rest of Richard's tuition so we have left it there for now. I really like having separate bank accounts so that we can keep our money separate. It sounds like it is super complicated, but in all reality, we just set up automatic transfers through our bank and we never have to think about it. I would highly recommend that everyone have at least 4 different accounts-Checking, Emergency Fund, Regular Savings and a Savings Goal. Everyone has some sort of goal they are saving for whether it be a car, a house, or maybe even a wedding.